Now I for one have read many books (Think and Grow Rich my favourite) and attended many Self Development seminars and courses (Kurek Ashley my biggest influence), and one of the things they say is look around the people you associate with, and most of them will be within 20% above/below your financial position in life. I am a believer of this and if it is right or wrong, it is relevant. Ten years later now after I got up at 545am every morning for 15 months doing a self development course (yes it does take an effort) I look around at the people I associate with every day and they are a different league of people from a decade ago. Now I’m not saying they are any better or worse of a person than the others were I associated with all those years ago, but what I will say, they are extremely knowledgable people about property, and as I live and breath property every day of the week now my knowledge of the market and different areas of property, strategies and so much more is just awesome, compared with what it would have been if I stayed in the same place of 10 years ago. One thing I learnt from Kurek Ashley is that you never remain constant in this world, you either evolve or dissolve, there is no standing still, the world keeps moving forward around you, so improving yourself or at least hanging around with like minded people is so important to keep your progress moving forward. 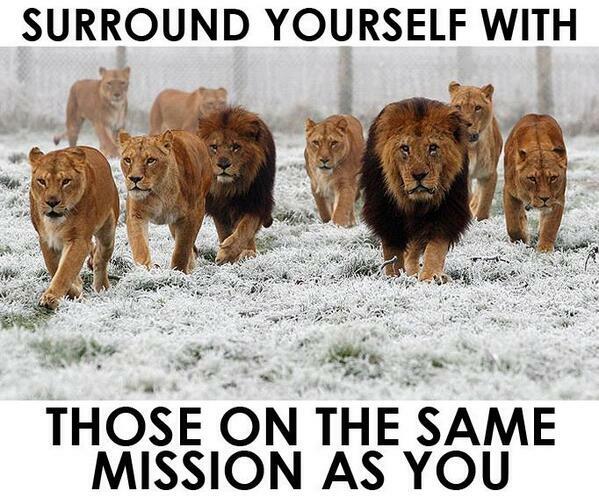 You are more likely to succeed if you surround yourself with like minded people. Now like minded people can be in many forms, I'm not saying ditch ya mates and family and start ringing Donald Trump and John Key up for a beer and chat. Over Christmas many of us re-focus and sit back and see how the year has gone and think about what we want to do or achieve in the upcoming year(s). Now if property is one of the goals or subjects you want to get into, continue on or even just educate yourself and start doing, write down some goals or tasks that you must do, read an educational book about the basics and more, Matthew Gilligan's new book ‘Property 101’ for an example is a great read, it is full of real life examples and hints and his rules on investing. Start thinking about people or groups you want to associate yourself with, for an example there is a 6 week educational course in the office right next to mine that anyone can attend during the year, I speak to them in weeks 4 and what I love about this or any mentoring program is that you straight away open yourself up to associating with like minded people. The speakers are all experts in the property field and others attending are just like you, they come from all warps of life but the common theme is property and there is nothing more powerful than this, you learn, share, have possible JVs, friends or many possibilities when this happens. Quite clearly I love, infact are passionate about our Podcasts, this the only such one in New Zealand, it is of sorts listening to like minded people that you can do in your car while driving to work (please concentrate on your driving and don't go to dream land) or exercising or just sitting at your PC. I like to think even by receiving our weekly emails you are being informed and keeping current, so do that with inspiring people around the property field. If you really want to educate yourself, get great at something, surround yourself with learning material and like minded people, you may be surprised of your results in a few years. Do remember with any books you read or mentoring you go to, it is just one persons way of doing property, it's not necessarily right or wrong, find something that you are happy with doing and get the right people around you to do so. Enjoy the break at Christmas with your family and friends, and think about the 20/20 rule. If you like who you are surrounded by, that's great. If you think there is more you can do to improve you and your families situation, or just want to get into property, lets come up with a plan to educate yourself and get around some like minded people in the field or community of whatever it is you want to be a part of.